It is suitable for drilling water wells, geothermal wells, Micro piles, medium mini-type grouting hole of building, dam and harbor project. Make the casing follow easy and the equipment and operation simple. 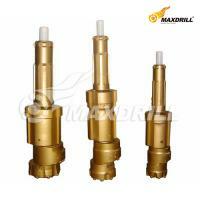 Simple structure, easy operation, reliable quality, retrievable drilling tools, and long service life.